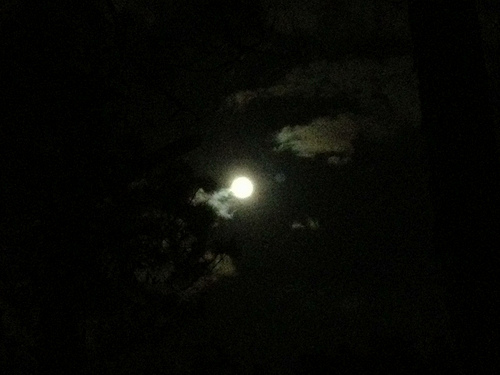 The full wolf moon, originally uploaded by Erin *~*~*. I looked it up on my Farmer’s Almanac app – it’s the moon that the wolves howled at, also known as the Old Moon. It sure did illuminate the path back to the parking lot – quite nicely!